Is There A Chesnut Changer in the Schoolhouse? Yes, now there are more than 400 of us! 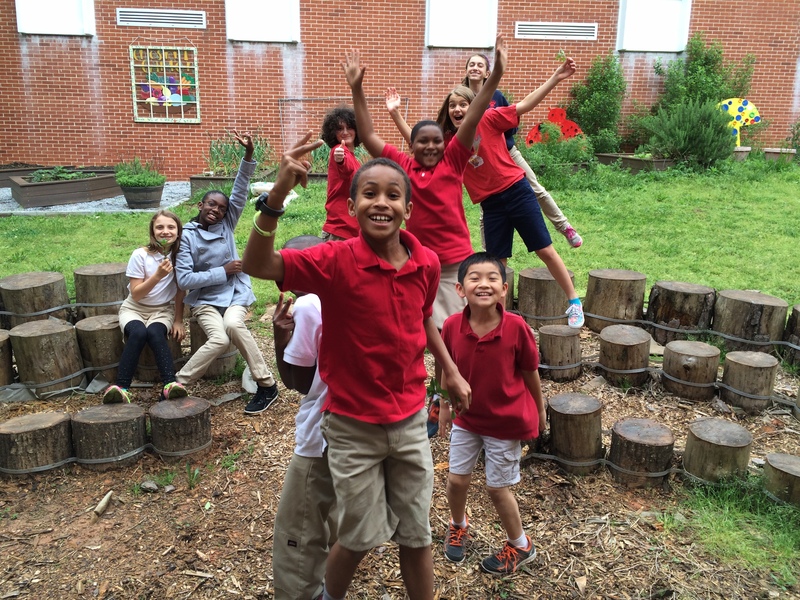 With the recent win of a Captain Planet Foundation Project Learning Garden Grant, Chesnut has committed to a three-year program that will ultimately enable all faculty to teach math, social studies, science and language arts standards via outdoor lessons with a focus on environmentalism. 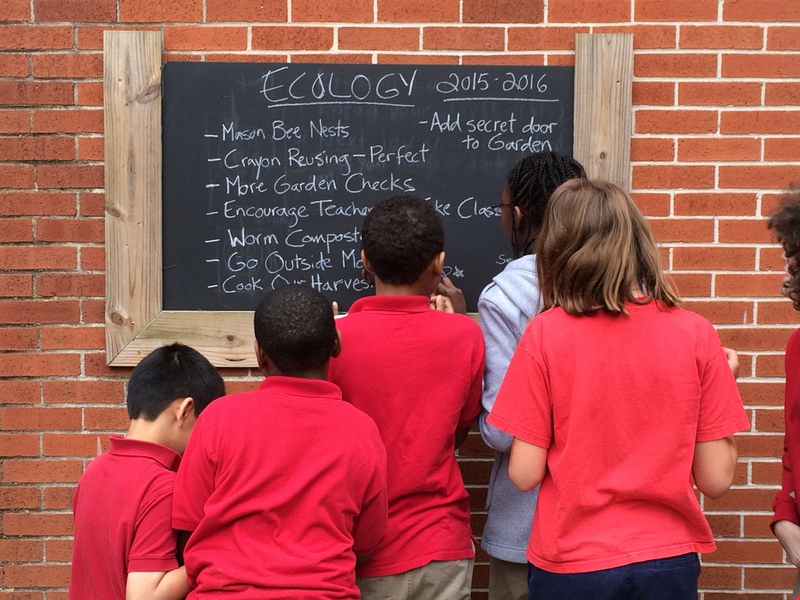 As a result, we have disbanded our monthly after-school Ecology Club, and will instead focus our efforts on including all Chesnut students in such programs throughout the school year. 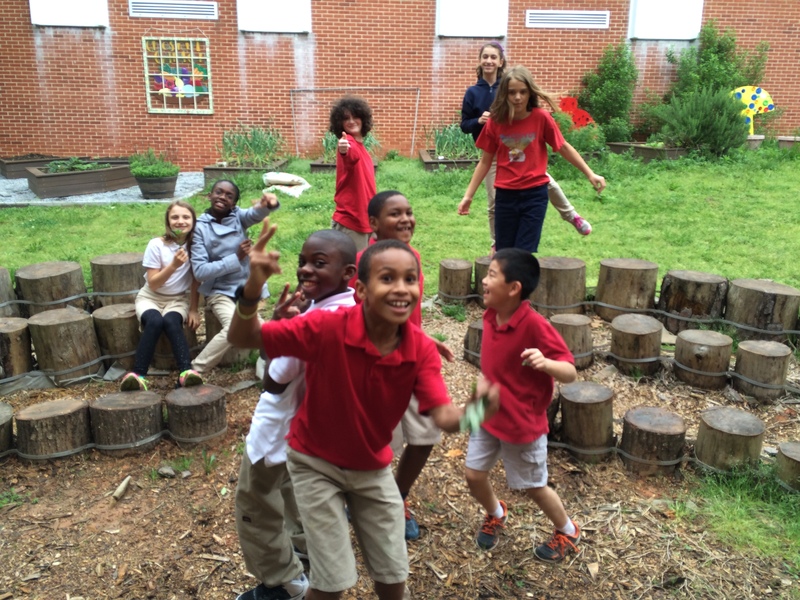 In a sense, the fourth and fifth grader Chesnut Changers’ wish came true — we did develop a “secret door to the garden” — by availing ourselves of Captain Planet’s resources to help build a school-wide culture around environmental stewardship. Captain Planet provides instructional materials including a mobile cooking cart, standards-based curriculum and faculty training, as well as Food Corps volunteers as classroom facilitators. In addition to having five School Master Gardeners on staff, this month Chesnut will also have six Project Learning Garden trainees, including fifth grade teachers Ms. Bock and Ms. Wessels, fourth grade teachers Ms. Denson and Ms. Onorato, first grade teacher Ms. Skoog and school counselor Ms. Sule. More to come on what they bring back to Chesnut from their training. In the meanwhile, we will continue to share news of the latest Chesnut Changer happenings. Closing out the last year of Ecology Club by cooking up a batch of recycled crayons in leaf shapes! This entry was posted in Farm to School (F2S), Gardening, Lesson Plans, Recycling and tagged farm to school, Gardening, lesson plans, Recycling. Bookmark the permalink.